Now comes the part of this series where I talk about the stages where the fighting will actually take place. Keep in mind that some of the new stages I would ultimately like to see are dependent on the inclusion of the characters I previously mentioned in my roster wishlist. Most of the following points are simply arguments I wish to make about the design of a few stages from previous Smash Bros. titles as a collective. Personally, I've always been a fan of stages that include environmental hazards and moving platforms. I know not everyone is a fan of these, and there are some that I feel are more enjoyable to play and just plain better designed than others. I certainly don't hate Melee's Rainbow Cruise, but it requires that you constantly be on the move, which is obnoxious in comparison to the breaks between vehicles in Big Blue that require you pay attention to your footing. I could certainly see a Sin and Punishment stage designed after the second level of that game, where the characters are stable on a platform that moves about the armada of ships, in a style not unlike past Star Fox levels or even Brawl's Battleship Halberd. A few standstill cannons or other methods for the stage to fire upon players in the midst of a skirmish makes fights all the more entertaining. That said, I realize that many players prefer the standard stages with a few platforms and zero influence from the environment itself. Battlefield's design is tried and true, and even Shadow Moses proved relatively tame with little more than destructible towers on either side of the stage. Again, I enjoy these stages, and I feel that Nintendo has delivered a solid balance between the standard stages and those with environmental hazards in each Smash Bros. release. However, there are a handful of stages that I find incredibly annoying due to their size and layout. Specifically, I'm talking about Hyrule Temple and New Pork City. 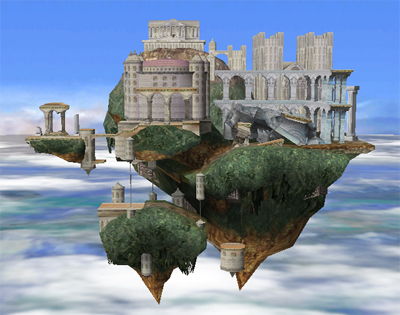 It is true that there are other stages in Melee that are quite large, like Fourside and Brinstar Depths. But the former is rather open and the latter constantly rotates, discouraging players from sticking to one spot. Hyrule Temple, however, is a stage that - due to its design incorporating platforms, a tunnel, and pillars for players to hide behind - caters primarily to campers and cowards. The whole point of a four-player fighting game is for the matches to be frenetic, and designing a stage with so many hiding spots/escape routes removes this fun factor. On the other hand, New Pork City seems to have been designed as some sort of successor to Fourside, but the stage is in fact so large that once characters spread out far enough it becomes difficult to track one's own character. The option to construct your own stages in Brawl was a really neat and unexpected inclusion on Nintendo's part. However, there were only so many pieces allotted and a limited number of ways to place them on a stage. While the stage builder should be retained, Nintendo can certainly do a lot more with it. Aside from new pieces, they could include both new color palettes/themes for the environments (as Brawl only had three to choose from) and the ability to include timed environmental hazards (like the lava spouting forth in Norfair and) or slight/temporary changes in the stage's design (like the extra floating platform that shows up from time to time in Smashville). 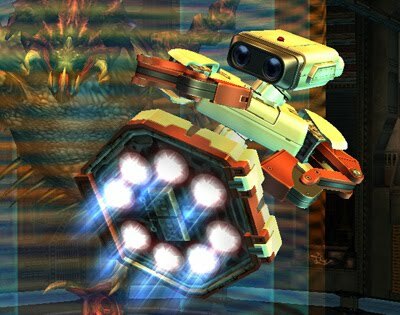 With regards to the story modes/single player experience, Subspace Emissary was a great way to springboard off Melee's Adventure Mode. Though it did not feature a perfectly crafted story, a game like Super Smash Bros. does not necessarily need one, as the experience is meant to cater to fans of all Nintendo franchises. Keeping the story simple, yet still creative and fun is great, while offering up the option to revisit Classic Mode caters to fans of the original Super Smash Bros. Boss Battle Mode was quite fun and carried a decent challenge factor, while Home Run Derby and Multi-Man Brawl were only altered slightly from their previous iterations. I can really only complain about All-Star Mode, in that it lost some of its challenge factor during the transition from Melee Brawl. The game did not spawn new foes fast enough during the matches where you were to take on three or four opponents, and not a single one of them felt overly powerful, even on the harder difficulty settings. Now comes the issue that many a Smash Bros. fan has debated over since Brawl's release: what to do with the Final Smash moves? Personally, I like the idea of Final Smashes from a conceptual stage - they make matches more exciting as players scramble to grab them and simultaneously attempt to keep one another from reaching them. However, they are incredibly unbalanced in Brawl. 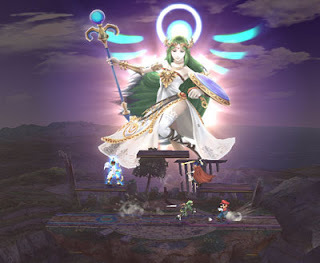 Pit's Final Smash is basically unavoidable, and will instantly kill most anyone on screen, regardless of how much damage they have already taken. Meanwhile, R.O.B. and Donkey Kong have very underwhelming attacks that can only gain a moderate range and deal relatively little damage in comparison to everyone else. Assuming Nintendo is going to keep the Final Smashes at all, they need to be evened out - either everyone gets an instant K.O. move, or they simply get a temporary power-up of some sort. Frankly I'm more inclined toward the latter. While a tussle over Final Smashes that instantly clear the stage of fellow fighters would be fun for a while, I think many players would ultimately get fed up with them and simply turn said items off. However, a temporary invincibility (ala Ghirahim's ultimate form, which I mentioned in the previous part of this series) or limited use of a powerful attack (ala Travis Touchdown's tiger form) would allow the strategic element to be retained and decrease the likelihood that players become flat out frustrated with matches. If Nintendo decides to completely remove the Final Smashes, it would not completely alienate players - there were two games prior to Brawl that functioned well without them. But I think that Nintendo and Namco could really make the experience fun and fresh by toning down these Final Smashes and evening them out. Let's assume that all of the characters I mentioned in the last post end up getting removed: Wolf, Ganondorf, Toon Link, Lucas, Wario, Diddy Kong, Lucario, R.O.B., and one of the Kirby characters. This would open nine spots on the roster. Mind you, what follows here is my own personal wishlist, and is not necessarily a representation of what the greater Smash Bros. fanbase might want. However, I do have reasons as to why each of these characters would make for a good fit on a Smash Bros. roster. As I mentioned last time, there seems to be a trend with the Smash Bros. games altering their presentations of certain characters with their most recent releases - more specifically, I made mention of the Legend of Zelda games, and how Link, Zelda, and Ganondorf's appearances have changed from one game to the next. 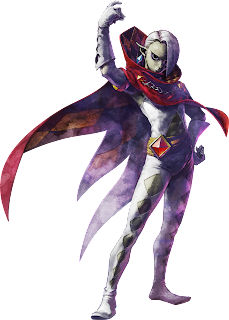 If the next Smash Bros. game were to adopt a Skyward Sword aesthetic, there's a good possibility that Ghirahim would make an appearance in place of Ganondorf. In Skyward Sword, Ghirahim's tactics relied heavily on swordplay and firing small projectiles. In one of the game's most important cutscenes, he was shown to be capable of erecting a barrier for a brief period of time, and he is also capable of teleporting short distances (which could be integrated as either a jump move or an over+B move). Finally, Ghirahim alters his physical form over the course of the game, making his arms more durable, which could be included as a time-limited move to grant him greater defensive and offensive prowess. Assuming Nintendo wants to keep Final Smash moves in Smash Bros. 4, Ghirahim could either be granted temporary invincibility via his final form seen at the end of Skyward Sword, or (going the more overpowered route) be able to summon the imprisoned for a brief period, allowing the beast to stomp about the stage. Though Earthbound is probably the game most fans of Smash Bros. are least intimately familiar with due to how difficult it is to come by nowadays, I applaud Nintendo for attempting to better represent the Earthbound/Mother series in Brawl. As I mentioned in the previous part, I felt Lucas' inclusion was entirely unnecessary, but I would love to see another character worked into Smash Bros. 4 - preferably one who has a strikingly different moveset from Ness. Jeff appeared in Brawl as an assist trophy and shot off fireworks, and I think his reliance on weapons could make for a very interesting contrast to Ness' PSI abilities. Admittedly, I'm not nearly as familiar with Earthbound as I am with most other Nintendo franchises, but I think including at least one other character from the game that offers something different from what Ness is capable of would make for a more interesting and diverse roster. Though I think the Pokémon series is well represented through the presence of Pikachu, Jigglypuff, and the Pokémon Trainer, I would not be surprised if Lucario's spot on the roster is opened up in order to make room for yet another Pokémon. Though Mewtwo and Lucario represent psychic and fighting types respectively, their body types and size are similar, and they even share a few similar moves. 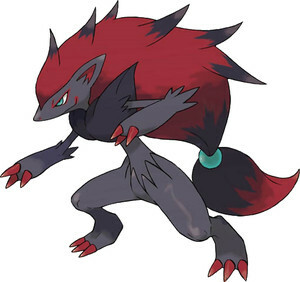 A Generation V Pokémon who would fit well with this trend is Zoroark, a dark type famous for his ability to create illusions and mask himself as other Pokémon (and even people, as seen in Pokémon Black 2/White 2). N's Zorua/Zoroark was relatively important to the plot of Black 2/White 2, and he was the first Generation V Pokémon to be officially revealed. Granting him the ability to temporarily disguise himself as opponents (which would either wear off after a short period of time or after he were to take enough damage) as well as a few dark type attacks would allow him to follow the trend established by Mewtwo and Lucario as a mostly close-quarters fighter with a few ranged attacks. At the same time, the sixth generation of Pokémon games will be released by October of this year, so it is entirely possible (perhaps even more likely) that this spot would be filled by a Pokémon representing the new games. Nintendo has a history of including one or two characters per Smash Bros. game that have not been in any major retail release in quite a few years. In the original Smash Bros., this was Samus Aran, whose only appearance on the N64 was in said beat-'em-up game. Melee saw the return of Mr. Game & Watch and the Ice Climbers, while Brawl revamped Pit. Keeping with the trend of incorporating NES-era characters into Smash Bros. (whether as a teaser for upcoming revival projects or simply for nostalgic purposes) Balloon Fighter trophies, stickers, and music have all previously appeared in Smash Bros. titles, and the incorporating of the game's main character would prove interesting, to say the least. Some of these NES classic characters have a tendency to control unusually, like the Ice Climbers operating as two characters under the control of a single player, and designing the Balloon Fighter as a highly agile fighter with little in the way of defense would add an extra degree of challenge for those seeking it. Sometimes the strategies used by more competitive Smash Bros. players are largely dependent on the unorthodox characters in the roster. While I did say that I do not expect Wario to make a return, I do feel that the WarioWare games are sort of unsung heroes among Nintendo franchises and ought to be represented in Smash Bros. 4. 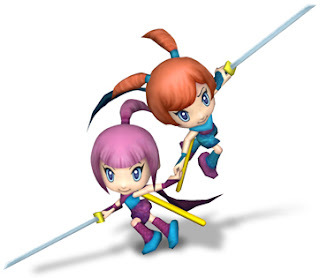 Kat and Ana are two ninjas who could effectively operate in a similar fashion as the Ice Climbers, with one player controlling two characters, though they would be angled toward quick strikes and offense more than defense. On the other hand, 9-Volt would fit in better with the standard weight class and could dish out a variety of moves inspired by retro Nintendo games, as is his calling card in the WarioWare titles. Capcom is well-known for making tons of crossover fighting games, as well as notorious in the video game community for their habit of making a buck off of everything possible, earning them the moniker "Cashcom". Regardless, Megaman is a hero familiar to many an owner of Nintendo consoles, and carries a similar aesthetic appeal as many of the fun and colorful Nintendo mascots. He's already seen plenty of skirmishes across other fighting games, so adding him to a Smash Bros. roster would not require much work. Throw in one of his more powerful abilities gained from a Robot Master as his Final Smash and the blue bomber would fit right in. 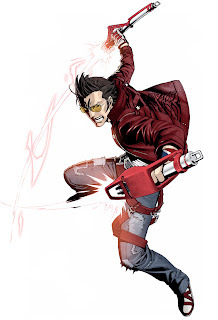 Travis Touchdown, on the other hand, would be a bit more bold an inclusion. His crude nature and explicit language would have to be toned down for any appearance in Smash Bros., which is just as well since few of the characters spend much time speaking anyways. However, there are still plenty of clever ways his comedic nature could be retained for a story-driven mode like Subspace Emissary: his habit of picking his nose, his sometimes cynical nature, and his general goofy behavior as an outwardly awkward otaku. His collection of beam katanas would provide him with a variety of attacks - Blood Berry providing decent range and acting as his standard means of attack, the Rose Nasty slicing up, down, and all around in a series of consecutive swings, and the Tsubaki Mk-II carrying out a slow but powerful up+B/down+B smash move as Travis leaps up and forward to slam its multiple beam blades into a foe below him. His grabbing a foe could be followed up with one of his many wrestling moves to inflict further damage, though at the cost of leaving him open to attack from others for a few seconds. As for his Final Smash, the most logical answer would be to allow him temporary transformation into Tiger form to inflict significant damage on the other fighters. Though the No More Heroes games do not have as strong a following as many of the other series currently incorporated into the Smash Bros. series, it does have a highly devoted fanbase, and there are plenty of people who would love to see Travis Touchdown make an appearance, even if only for one game. In order to present a rounded experience, the characters I have presented thus far would have to be offset with the inclusion of a couple of slower characters. In the past, the tradition has been to couple heavy characters with slower motions, but I think having at least one character break from that play style would not be a bad thing. I know some other Smash Bros. fans would like to see Bowser Jr. included, and while I can honestly say that I'm not opposed to the idea of having a small and slow-moving character, I feel that the Mario series is well-represented as is, and I think Namco and Nintendo could do even better by including a strange combination: a standard weight character who moves around the stage at a rather slow jog/run, has an even balance of ranged and close-quarters moves, and whose jump moves are quite limited. Specifically, I am talking about Saki and Airan from Sin and Punishment, a title that was, until its Virtual Console release, a Japanese-exclusive. I suggest the developers include either Saki or Airan, but not both (again, for the sake of avoiding clone characters). It would not be the first time the Smash Bros. series has catered to fans of a series that has seen limited release in the U.S. - Melee included Marth and Roy before the Fire Emblem games really caught on stateside, while Lucas is from Mother 3, which never saw a U.S. release. There would also need to be at least one more slow and heavy character to balance the experience. I don't have one specific character in mind, but I do feel there are certain franchises that are underrepresented. 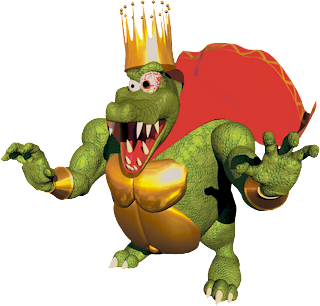 For Donkey Kong, this character could be K. Rool, a character that many other fans have asked for in the past. His variety of combat methods across the Donkey Kong games would open up plenty of options with regards to his moveset. Samurai Goroh of F-Zero has had cameos in both Melee and Brawl via trophies, stickers, and even an assist trophy. Meanwhile, Fire Emblem's Hector could focus almost entirely on heavy close-range swings of his axe, while the weight of both this weapon and his armor would limit his jumping and speed. The third installment of this series will focus on the gameplay at large. There are a few alterations I would like to see with regards to how the different game modes are handled and the difficulty factor that accompanies them. I also have a few ideas on how to handle stages in the future - no drastic changes, but a few complaints that I have about a handful of stage designs. And of course, I couldn't properly cover Smash Bros. without giving my own input on the topic of the Final Smash moves. Today Nintendo confirmed that there is a brand new Zelda game in the works for the Wii U, as well as the fact that they will be re-releasing The Wind Waker for the console in HD. The screens that have been shared thus far show off greater lighting effects and more vibrant colors, though the textures and character models appear largely unaltered. However, the final product could appear much different than this, so we will have to wait and see. With regards to the new (and currently unnamed) Zelda title, Eiji Aonuma stated that the development team wants to rethink conventions of the series, such as linear progression and the fact that most Zelda games are single player. A couple of days ago, some screens of the new Suda51 game Killer is Dead appeared on NeoGAF. As of yesterday, we now have a trailer showing off the gameplay and giving us a little taste of the characters and story. Based on what is presented here, it seems like some of the fan speculation that this game would be a spiritual sequel to both Killer 7 and No More Heroes is at least partially true. The story of lead protagonist Mondo Zappa appears to be more serious in nature than that of Travis Touchdown, but the way he wields his blade is similar to how Travis' handled his beam katana. Meanwhile, Mondo also fires rounds from an object on his left arm, seemingly a nod to Killer 7 heavily emphasizing shooting in its own gameplay. Killer is Dead's graphics are cel-shaded, much like the two aforementioned Suda51 titles, though the graphical quality is notably higher, which only makes sense, considering that Killer is Dead will be releasing for both the PS3 and Xbox 360. The end of this trailer teases at more footage to come, so hopefully we will learn about other characters and story elements in the coming months. With the next entry into the Super Smash Bros. series currently in development, I decided it was time to make my own wishlist regarding what changes I would like to see in the fourth game. The game is being developed by Namco, with Nintendo still being heavily involved in the process. At this time, Namco has said that they are hesitant to include characters from any of their own games (Tekken, Pac-Man, etc.). This likely stems from the fact that the Tekken games are much different fighting games that the Smash Bros. titles, and there is no doubt a challenge in trying to sell new, non-Nintendo characters in a game that is all about the Nintendo brand. 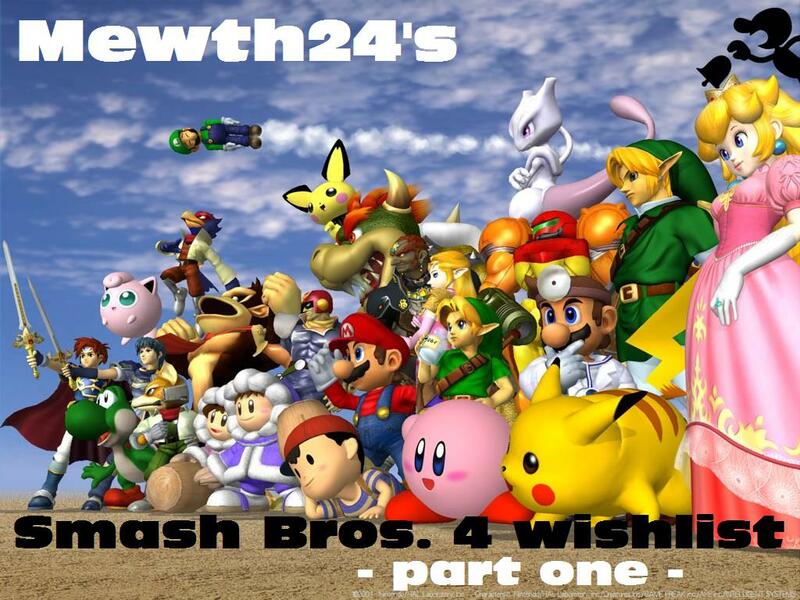 However, Smash Bros. Brawl opened the door to newcomers Sonic and Snake, characters owned by SEGA and Konami, respectively, and I think it is certainly possible that other non-Nintendo combatants could enter the ring in Smash Bros. 4. One thing that was made clear by Namco shortly after they announced their involvement with Smash Bros. 4 was that the roster size would likely not be changing from Smash Bros. Brawl's thirty-five playable characters. So we can assume is that there will be at least a few characters that will not be returning for the next game, in order to make room for new fighters. I think the first fighters to be cut would be the clone characters, which have been a point of contest among fans since the release of Smash Bros. Melee. Clone characters are defined as characters whose move set is strikingly similar to another fighter, though their weight, speed, and offensive/defensive capabilities may differ. For example, Falco is a lighter and faster clone character of Fox, while Ganondorf is a slower and heavier clone character of Captain Falcon. 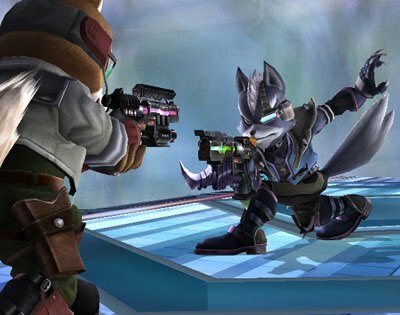 Frankly, I was rather surprised that Falco made the cut for Smash Bros. Brawl - despite how much I enjoy playing as him, he didn't seem all that different in the third game, and the inclusion of Wolf made me question just how necessary it was to keep Falco around. I don't know that I am convinced that Falco will be cut from Smash Bros. 4, due to his popularity in the fanbase, but I can't imagine that Wolf will return. If Falco does make a comeback, I think his moveset will likely be reworked to some degree, and hopefully (assuming Namco chooses to keep the Final Smash moves in the fourth game) his Final Smash will be different from Fox's (I'll get into my thoughts on Final Smash moves in greater detail later on). Though Falco's return is a matter I am still on the fence about, there are a few characters I highly doubt will return: Wolf, Ganondorf, Toon Link, Lucas, Wario, and Diddy Kong. The first four characters are clone characters. Wolf, Toon Link, and Lucas are easily the least necessary fighters in Smash Bros. Brawl, and perhaps even in all of Smash Bros. history. Their movesets are too similar to the characters they are cloned from - even Young Link from Melee had fire arrows to set him apart from Adult Link. Meanwhile, Toon Link is simply there to cater to fans of the Wind Waker aesthetic. Lucas' moves are almost identical to Ness', with one or two slight discrepancies. The same could be said for Luigi in relation to Mario. However, I can't imagine Nintendo approving the removal of such an iconic mascot of their flagship series. While Wario and Diddy Kong both presented something new and unorthodox to the experience, they seem like characters who would be difficult to build upon in future releases, and I feel they will be one-hit wonders in the same fashion as Dr. Mario was in Melee. With Pikmin 3 just around the corner and Kid Icarus: Uprising still fresh in people's memories, it's only smart for Nintendo to keep Olimar and Pit in the mix. That said, I think Pit is easily the most unbalanced character in Smash Bros. history, due to his insane knack for recovering from falls and ridiculously overpowered Final Smash, and needs to be reworked significantly before the fourth game releases. The Zelda characters tend to represent whichever Zelda game is most recent. With any Zelda WiiU news currently far off, it seems likely that the next Smash Bros. would include a Skyward Sword Link, as the original Smash Bros. and Melee both featured Ocarina of Time/Majora's Mask Link(s), and Brawl featured Twilight Princess Link. 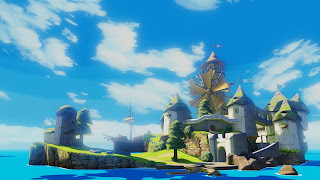 Zelda's presentation would be drastically different if she were to adopt a Skyward Sword look, so it may also be possible that the Skyward Sword, Ocarina of Time, and Twilight Princess looks may simply come in the form of alternate colors/costumes, while the movesets remain largely unchanged. However, Ganondorf is not in Skyward Sword - instead, the role of primary villain falls on the shoulders of Ghirahim, who would make for a very different and interesting fighter, due to his reliance on projectiles, his sword, and his highly durable arms. Two characters that I think have a slim chance of returning are Lucario and R.O.B. Lucario will probably be swapped in the same manner that Mewtwo was (though I don't understand why Mewtwo was dropped in the first place; I thought he was a great Pokémon to add to the roster). The question is, with the Pokémon Trainer being introduced in Brawl, will Lucario be replaced by another Pokémon or someone entirely different? I feel that R.O.B. will likely follow the same path as Wario and Diddy Kong, but I never expected Mr. Game & Watch to return after Melee, so I can't be too sure on this one. Meanwhile, I expect only one of the newcomers from Dreamland to return, not both. Dedede is more or less a heavy-hitter version of Kirby, while Meta Knight is a light defensive close-quarters variant. Meta Knight's unusual flight patterns and style of attack make him a more likely candidate for dismissal, but Dedede is a more direct clone of Kirby. In the next part of this series, I will present my own personal wishlist of characters. I doubt that all of these characters will match up with those most-requested by fans, but I have arguments prepared as to why each character would make a solid entry among long-lasting fighters like Mario and Pikachu. My familiarity with the third generation Pokémon games is limited when compared to generations one, two, and five. I never owned a Gameboy Advance, though my brother did, and at the time that Pokémon Ruby and Sapphire were releasing, I was more or less over my initial obsession with the franchise. However, recently I have noticed many fans of Ruby/Sapphire/Emerald reminiscing and claiming that the generation three releases were among the best in the entire series for various reasons. While I would like to pick up a copy of Emerald some day in the future, the closest I currently have available to me is Pokémon XD: Gale of Darkness, a game that is even more difficult to come by and is on loan to me from a friend. As with other side games in the Pokémon franchise, your character is given Eevee as their starter Pokémon. One of the first locales you visit allows you to pick one of five evolution stones (two extras due to the game not having a day/night mechanic), and instantaneously evolve your Eevee into Flareon, Jolteon, Vaporeon, Umbreon, or Espeon. You can hold onto the evolution stone for use at a later time if you so choose, but knowing which evolution you are going to select early on will help in building a balanced team. My personal favorite Eevee evolution happens to be Espeon, and based on the incredibly small number of psychic-types or psychic secondary-types I have been granted the opportunity to catch thus far, it seems I made a wise choice. Though Gale of Darkness is the closest thing to a fully-realized traditional Pokémon game on a home console, the gameplay differs slightly from the core mechanics of the handheld Pokémon releases. All the battles are double battles, adding a unique flavor to combat tactics. Only wild encounters are one-on-one battles, but these must be triggered at specific locations by leaving bait out. The main method of catching Pokémon comes from snagging shadow Pokémon - Pokémon who have been forcibly corrupted by Cipher, resident baddies of the Orre Region. Occasionally, the protagonist will recognize a shadow Pokémon via a Dragon Ball Z-esque eyepiece, and can then catch it. Catching all shadow Pokémon is not necessary and they can simply be k.o. 'd for experience points, but catching shadow Pokémon does prove beneficial for building a basic team early in the game. Due to all the battles being double battles, as well as the time it takes to display the surprisingly well-animated Pokémon in action, battles tend to last longer than the occasional sweeps that can easily occur on the handheld entries. However, battles in Gale of Darkness are not quite as frequent, and are - on the whole - easier, save for a few local "boss encounters" against trainers prominent to the plot. While there are Pokémon Centers present in every major locale, some of the buildings that players will spend a fair amount of time exploring contain Pokémon healing stations, reducing players' dependency on potions. Though Gale of Darkness does seem to push the generation three Pokémon into the spotlight, overall the Pokémon are pretty well balanced between generations one, two, and three. I tend to try and keep a rather balanced team, and I am also quite fond of dual-type Pokémon. At present, my team consists of five main members: Espeon, Houndour, Shiftry, Spheal, and Flaaffy. I recently caught a Mawile, and will likely use it in place of the Teddiursa I've had along for the ride since the first couple of hours of the game. In the past, I used Pokémon whose secondary-type was steel or were primary steel-types with another secondary-type, but I've never had a pure steel-type until playing Gale of Darkness, so this will make for an interesting experience. At the same time, I am keeping my options open in the event that a ghost-type, ground-type, or fighting type that may prove more practical presents itself before me. Nintendo has oficially announced the sixth generation of Pokémon games, titled Pokémon X and Pokémon Y. The games will be released for the 3DS and will be set in fully 3D worlds. Five new Pokémon have been revealed thus far - the three starters, Chespin (grass), Fennekin (fire), and Froakie (water),as well as two unnamed Pokémon that some fans are speculating may be legendaries (their physical forms seem to resemble the logos for Pokémon X and Y, respectively). The games are set to release worldwide in October of 2013. I wasn't exactly sure how to go about writing a formal review for Nintendo Land, since it is more a collection of minigames than a full-fledged retail release. At the same time, however, some of the minigames are more fully realized than others and stand strong on their own. At present, I am not sure that will in fact be writing a traditional review (or any review, for that matter) of Nintendo Land, simply because it is too different a beast for me to tackle when compared to most other games I review. However, I do feel that some of the standout games in the collection deserve recognition, and I have thus decided to compile a list of my five very favorite games from the bunch. These are listed in no particular order, though all but one places an emphasis on the multiplayer experience. Luigi's Ghost Mansion - This game plays quite differently depending on which role you adopt. 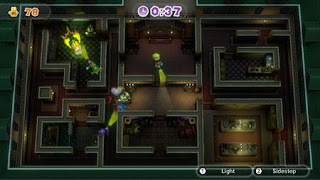 For the (up to) four players that take on the role of Luigi, Mario, and company, they must play defensively, watching each other's backs and keeping an eye on the battery reserves in their flashlight. They are able to sense where the single ghost is due to vibrations in their Wiimotes, but are only able to see him/her when the ghost chooses to dash or when lightning flashes outside the mansion and temporarily illuminates portions of the halls. Playing as the ghost hunters requires a tactical approach, whereas playing the role of the ghost requires he/she who controls the game pad to formulate a means of overcoming said strategy. The ghost can freely roam the area without being seen (save for the aforementioned dash and lightning), and can choose to charge an attack that drains the batteries from all the flashlights. This attack is a gamble, however, since the time required to charge it is quite lengthy and could leave the ghost exposed to attack. Also, the ghost is relying on players to be restricted to a small enough area that they cannot dodge the attack once it is cast. While the ghost does take damage gradually and can run away after each hit he takes, one touch from him and a ghost hunter is downed. At the same time, fellow ghost hunters can choose to revive their fallen comrade, knowing that the ghost could still be nearby to attack them too. Metroid Blast - The progression of enemies in this game's Assault Mission mode feels very natural, as one wave after the next challenges a team of bounty hunters. One player controls Samus' gunship, and is granted the advantage of flying wherever he/she chooses. The catch is that some enemies will move between buildings and are thus more difficult to hit. The other bounty hunters move around on foot, leaving themselves more exposed but also having greater accuracy up close with enemy Geemers and Zebesians. Those players that roam the area on foot can choose to grapple onto the gunship to get a free ride to another part of the stage, making the ascension up a tower much faster or simply making a narrow escape when their health is low. 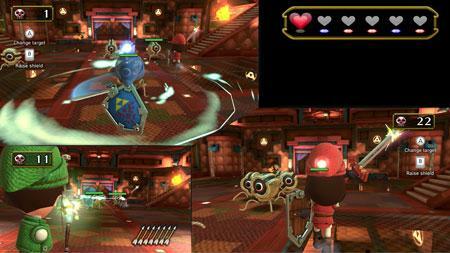 Both player types can collect power ups and health, which are handed out by the level every so often, and are acquired by players on a first-come, first-serve basis. While Metroid Blast does restrict players to a small area when fighting foes, it does well to capture the spirit of the Metroid games through the decoration of the environment and the music that plays as bounty hunters fight back. The Legend of Zelda: Battle Quest - An on-rails quest to find the Triforce, Battle Quest is nowhere near the caliber of a fully-realized entry into the Legend of Zelda series. However, it does borrow heavily from the combat mechanics introduced in Skyward Sword, and is all the better for it, as early skirmishes against Moblins are a cakewalk but later fights against Stalfos require accurate swings of the sword and careful timing when raising the shield. The role of archer is granted to the player using the game pad, and syncs perfectly with everything occurring on the television screen. There are some stages that feel more appropriately designed for full teams of four, while the collective health bar is meant to teach players to work together. However, Battle Quest is rather forgiving, placing extra hearts at the place your team last fell with each consecutive attempt at completing a stage. Some stages are revisited, though parties will traverse them via a different route, so the challenge never feels too familiar. Battle Quest is also one of the best looking games in all of Nintendo Land, and the lighting in caves and dungeon areas allow the archer to spot target from a significant distance. The puzzle element is essentially limited to hitting certain switches in the proper order, but the element of wind in a few stages presents an extra challenge for the archer as he/she will need to aim and time their shots differently. Pikmin Adventure - Though there is a versus mode where the Pikmin scramble to collect more candy than Olimar, the real meat of the experience comes from the adventure mode. The core gameplay of Pikmin Adventure is rather similar to the two Gamecube titles that preceded it. Olimar controls small Pikmin, and collecting nectar allows them to level up, grow buds/flowers, and become stronger. Though the Pikmin can be killed, Olimar has no means to revive them, so the game automatically restores them after a few seconds. 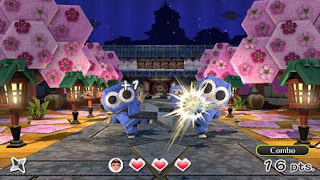 Meanwhile, other players (using Wiimotes) play as individual larger Pikmin and are in charge of their own destinies, though the group still needs to work together to defeat enemies, unlock pathways, and complete levels. For anyone who has played the original two Pikmin titles, the controls should feel very familiar. Aside from tapping the touch screen to launch Pikmin, the trigger is used to whistle and gather your Pikmin back to Olimar's side. The inclusion of new items that can boost or alter the way in which the Pikmin attack make boss encounters all the more interesting. The game is easily the best looking of the entire Nintendo Land collection, with lighting effects and shade dancing beautifully off the environment as well as the clockwork designs of enemies feeling both fresh and familiar. If this minigame is something of a teaser of what is to come in Pikmin 3, I am all the more excited for its release. Takamaru's Ninja Castle - One of the more challenging games in Nintendo Land, Takamaru's Ninja Castle acts like a shooting gallery with ninjas moving about each stage. As you hold the game pad sideways, you flick throwing stars at enemies, and are eventually able to upgrade to temporary use of clay bombs, triple throwing stars, and the ability to briefly slow time. The first few areas feature mostly defenseless and slow-moving targets, but as you progress, enemies begin to take on the offensive, tossing clay bombs and occasionally coming close-range with katanas. Though the ninjas are meant to look like paper dolls, the castle and the area that surrounds it is quite colorful and nicely detailed. Meanwhile, the boss fight requires you to keep a keen eye and be prepared for attacks from any of a mobile statue's four cannons as it spins about the room. As with practically every other Mario title in existence, Super Mario Galaxy sees Bowser kidnap Princess Peach, albeit in a more grandiose scale than usual. During a festival, Bowser sends his entire Armada against the Mushroom Kingdom and uproots Peach's castle, intent of taking the princess to the center of the universe to serve alongside him as ruler of a brand new galaxy. As Bowser's force easily overwhelms Mario, he drifts unconscious through space until he is picked up by a woman named Rosalina, who is the adoptive mother of a race of tiny stars known as the Luma. Rosalina explains that Mario will need to help her reactivate the different parts of her ship by collecting Grand Stars, most of which have fallen under the control of Bowser's forces. Once Mario retrieves a total of sixty stars, the ship will be capable of travelling to the center of the universe where Peach awaits. 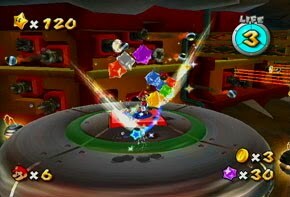 In the same vein as Super Mario 64, Super Mario Galaxy does not require Mario to complete every challenge in a particular stage in order to progress to the next. Instead, he simply needs to acquire a certain number of stars to unlock the next galaxy as well as the boss galaxy found in each section of Rosalina's ship. As he progresses further in the game and unlocks more galaxies, he is granted more freedom in how he tackles the challenge of collecting those sixty stars. 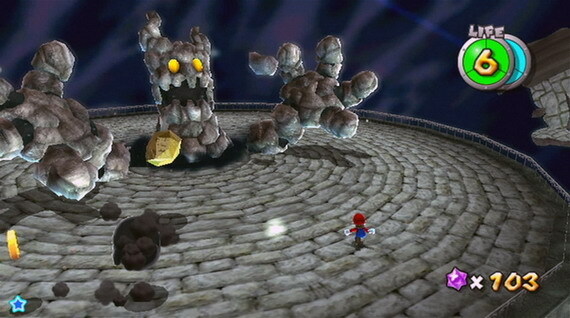 Some galaxies are host to bonus stars, but aside from the boss encounters, galaxies are divided into two groups - standard galaxies, which are host to at least three stars a piece, and bonus galaxies, which only house a single star but are generally more challenging and require Mario to complete a race, run a gauntlet, or perform some other comparable task. Though the bonus galaxies present amusing distractions from the main focus of the game, the majority of the standard galaxies feel somewhat less-than-inspired. As successor to Super Mario 64, Super Mario Galaxy opts for a number of small planets in each galaxy, with one or two puzzles found on each. Mario progresses from one to another rather quickly, making the focus of the game incredibly linear and streamlined, sacrificing much of the sense of discovery and adventure found in other 3D Mario titles. While each galaxy is host to a certain theme - desert, lava, haunted mansion, underwater, etc. - most feel like missed opportunities, and Nintendo could have fleshed out many of the planets to become more memorable and fully-realized worlds. Also, there are a handful of planets that are recycled during later portions of the game, with little more than a mirrored layout, different environment textures to distinguish them. While these are host to different star challenges than the levels they were copied-and-pasted from, the process feels lazy on Nintendo's part. While some of the formulas for boss fights are revisited, these feel generally more creative than the planets, and present a good balance of fun and challenge factor. The Wiimote's motion controls are incorporated into the gameplay rather well, on the whole. They aren't as outstandingly smooth as in other first-party releases like Metroid Prime 3: Corruption or The Legend of Zelda: Skyward Sword, but considering that Super Mario Galaxy was a relatively early release for the Wii, this aspect is forgivable. However, there are occasional attempts to have players hold the Wiimote in different ways in order to traverse certain areas and complete puzzles. Often, these are highly unorthodox in the way they are handled, and feel clunky when compared to the core gameplay of jumping and spin attacks. While they can still help Mario recover health, coins serve no other apparent purpose, as Star Bits are now the currency of the realm. Mario's collection of Star Bits in each stage compounds in the hub world, and can be fed to certain pink Lumas to access bonus galaxies. Collecting fifty of them will grant Mario a new life, and there are even a few Lumas strategically placed just prior to boss fights that will give him the option of paying a small fee of Star Bits to gain either another extra life or a temporary boost to his defense. What proves rather annoying is the fact that, regardless of how many lives Mario gathers during his adventures, the number is reset to the default of four lives each time you quit the game. While it is true that this Mario game is lacking much of the challenge presented in other 3D Mario releases, it seems silly that the game would not reward you for having worked to collect those extra lives and, in fact, does the complete opposite. Despite having been originally released in 2007, Super Mario Galaxy is one of the more impressive looking releases on the Wii. Not all of the textures are up to par with recent Wii releases, but the lighting plays off colorful environments beautifully, and Bowser looks the most mean and intimidating he has in years. The soundtrack is surprisingly epic for a Mario game, but is quite fitting considering the epic space adventure theme that the game is playing toward. The backstory of Rosalina and the Lumas is presented in brief chapters sprinkled throughout, and though the storybook format lacks substance, it certainly holds a unique charm and does well to avoid distracting the flow of the core gameplay. 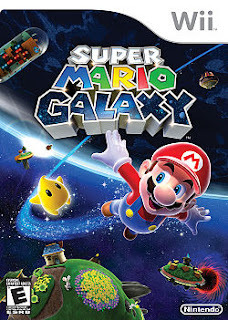 Super Mario Galaxy is notably easier than most other entries in the franchise, and the challenge factor will seem even lower to fans of 3D Mario games.